Free Range has really been hustling as of late, killing the catering game and landing a residency at Coffee Commissary in Burbank to serve food, all while consistently drawing the biggest crowd at the Melrose Place Farmer’s Market every Sunday morning. 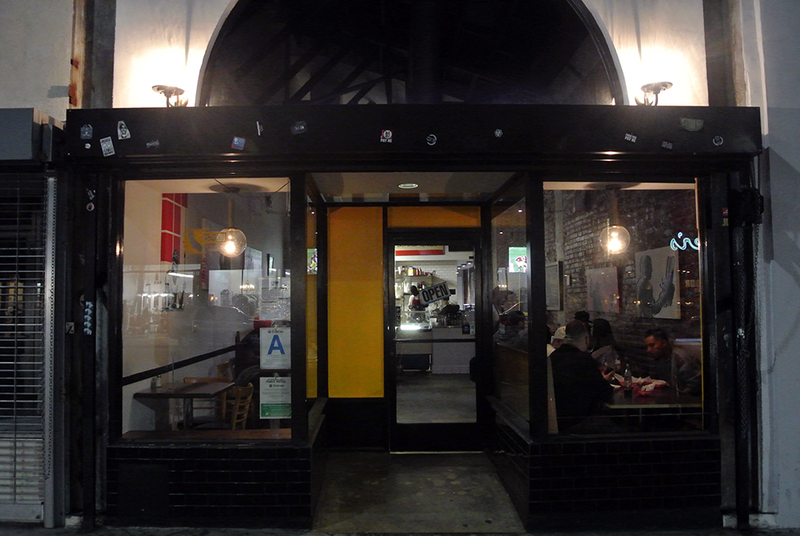 Last night marked another success as Free Range teamed up with Golden State Cafe for the third in a series of pop-up dinners at the Fairfax burger-and-a-beer destination. Having already attended the first two dinners (plus another Russian-themed meal at Bar Lubitsch a few months ago), there was no question that I’d be in the building for this one. Their fried chicken sandwich remains the number one crowd pleaser, but personally what I look forward to the most about these dinners are the new menu items that are trotted out, perhaps test runs for the eventual brick-and-mortar that eventually will come (I hope). The first featured a great chicken club (on an awesome Rye bread courtesy of Clark Street Bread), while the second showcased a delicious chicken sausage patty with grilled peppers and onions, but both proved to be solid additions to the already proven tempura-battered bird. This time around they unveiled a chicken meatball parmesan, a warm sandwich that was ideal for the cold weather that has finally arrived in Los Angeles. My reckless eating over the weekend left me in dire need of some greens, so I was delighted to see a salad on the menu. The crunchy cubes of squash and charred peppers definitely conveyed the taste of winter – hearty and a little bit smokey – while the maple vinaigrette and pomegranate seeds provided a leveling sweetness. The sandwiches at Free Range remain their calling card, but the sides and salads I’ve sampled have been quite impressive. 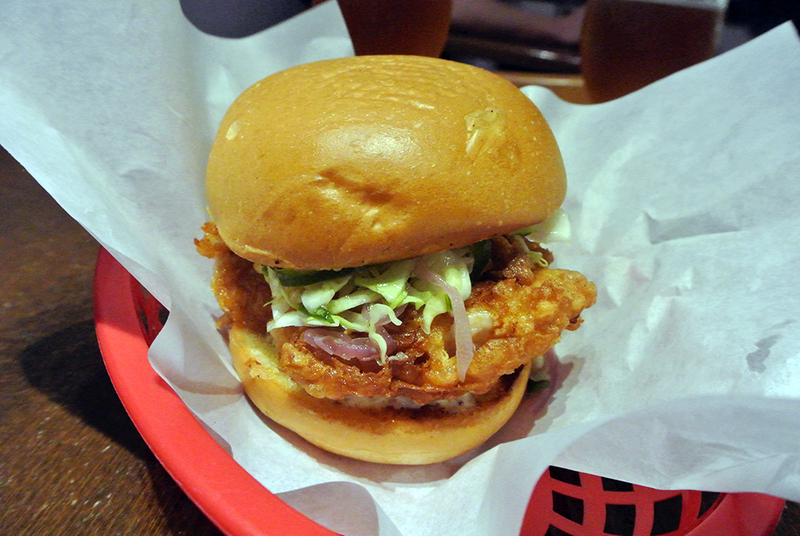 Nothing new here, just the same ol’ undeniably awesome fried chicken sandwich that started it all for Free Range. From the juicy thigh meat, coated in a crunchy tempura batter, to the jalapeño-spiced slaw and sweet grainy mustard, it’s as close to perfection as I’ve found. The key, though, is consistency, because somehow it always manages to taste as good as the first time, a difficult feat to accomplish. Chicken Meatball Parmesan [$9] | House ground Free Range chicken, marinara, and fresh mozzarella by Gioia cheese co. 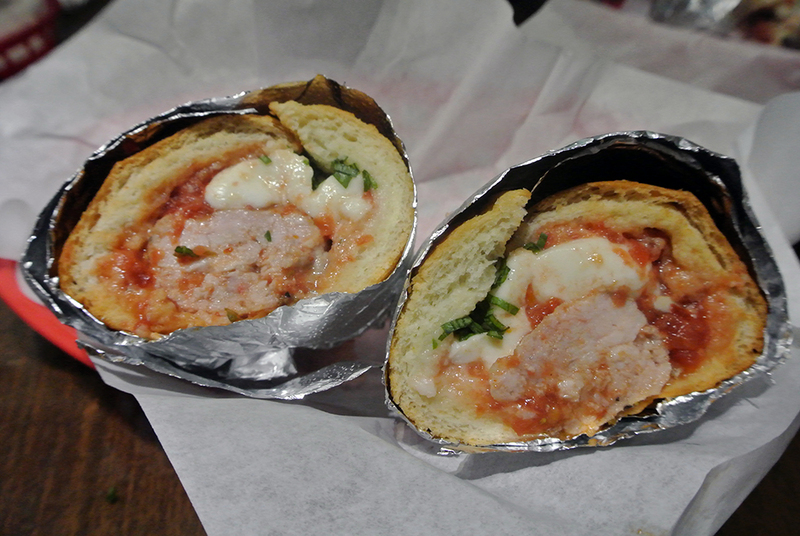 The night’s new sandwich was an Italian Chicken Meatball Parmesan, a fitting choice for this chilly Monday night. The meatballs were excellent, smoothly ground and tender to the bite, a great flip of the much more common beef meatball. The marinara sauce was nice and hot with a clean, slightly sweet tomato taste to it, but the melted, stringy fresh mozzarella by the great Gioia (best known for their burrata) cheese company was really what brought it all together. I found the sub to be a little on the small side, though the meatballs were generously shaped and rather filling. Expectedly, the food was a success, with the fried chicken sandwich continuing to carry the crown and the chicken meatball parm proving to be a more than capable compliment. 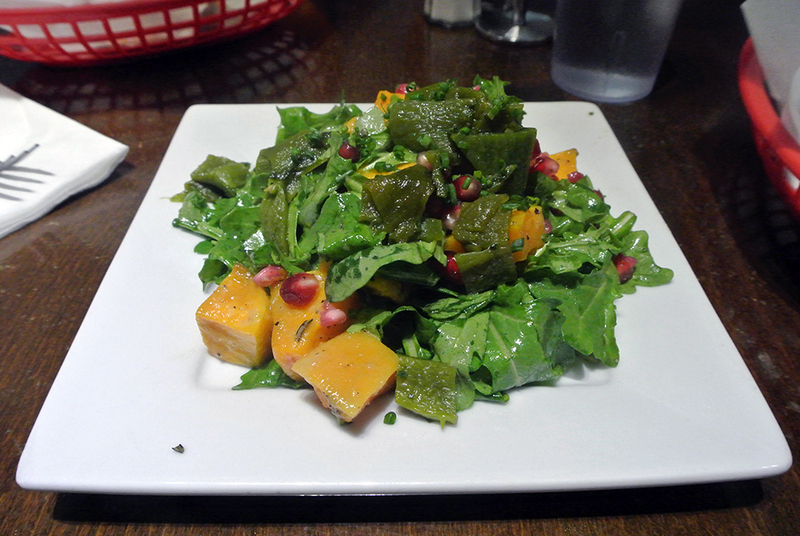 The squash salad was also a winner, perhaps one of the best side items I’ve had from Free Range all year. Jesse Furman’s cooking is finally beginning to gain recognition beyond his day one supporters, evidenced by the mixed crowd in attendance last night that was once dominated almost exclusively by family, friends, and the street wear community (shout out to Jon Buscemi). Now with four successful pop-ups under their belt, the next logical step for Free Range has to be a permanent physical location allowing them to reach an even broader audience. The city is ready.